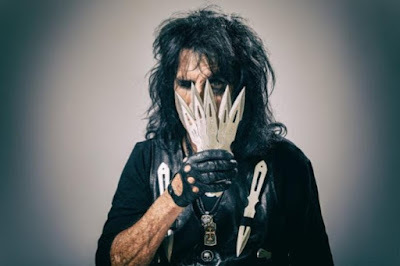 Alice Cooper will perform on ABC’TV’s Jimmy Kimmel Live as part of the show’s Halloween broadcast on Tuesday, October 31. Produced by Bob Ezrin, the project features guest appearances by Deep Purple bassist Roger Glover, ZZ Top's Billy Gibbons and U2 drummer Larry Mullen Jr. The set also includes a bonus disc consisting of six live tracks recorded last year in Columbus, OH with Cooper’s current touring lineup, and two brand new songs written and recorded together with original Alice Cooper Band members Dennis Dunaway, drummer Neal Smith and guitarist Michael Bruce. Cooper recently announced dates for a spring 2018 tour of North America. The month-long run will begin in Windsor, ON on March 1 and wrap up in Indianapolis, IN on March 29. The singer will begin a fall European trek in Dublin, Ireland on November 8. UPDATE: Watch Alice's appearance on Jimmy KImmel Live here.